The album was produced by DJ Evil Dee and Mr. Walt of Da Beatminerz. Enta da Stage features the debut of underground Hip Hop duo Smif-n-Wessun, as well as appearances from Havoc of Mobb Deep and Dru Ha, the co-founder of Duck Down Records. Despite being critically acclaimed and having two singles that charted on theBillboard Hot 100 (“Who Got da Props?” and “I Got Cha Opin”), the album sold poorly, and is often overlooked in favor of subsequent East Coast albums such as Enter the Wu-Tang (36 Chambers), Illmatic, Liquid Swords, Ready to Die,Only Built 4 Cuban Linx…, and The Infamous. Nonetheless, Enta da Stage preceded those releases and served as a precursor to the resurgence of the New York Hip Hop scene in the mid-1990s. 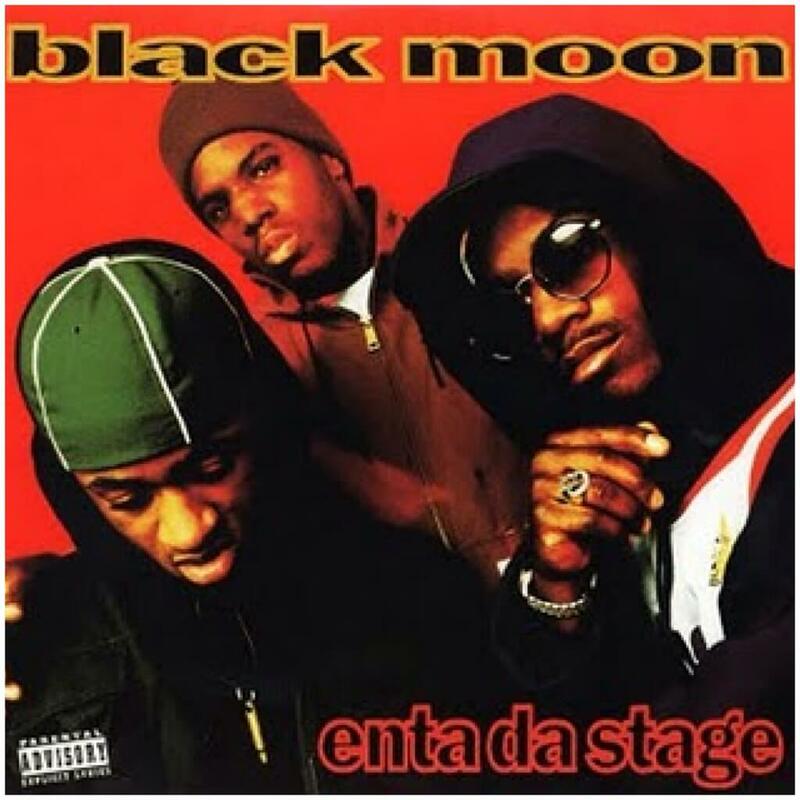 The album features an original style of choruses, which are now known as “Black Moon hooks”, in which they gather a large number of people in the booth to simultaneously yell the lyrics. These vocals were provided by a number of artists, including Smif-n-Wessun, Mr. Walt, Mobb Deep’s Havoc and the trio themselves. “Niguz Talk S***”, “Who Got da Props?”, “Ack Like U Want It”, “Buck Em Down”, “Black Smif-n-Wessun”, “Son Get Wrec”, “Make Munne” and “U da Man” all feature “Black Moon hooks”. DJ Evil Dee and Mr. Walt of Da Beatminerz, who produced the album, put their samplers to use here, lacing the album with their signature basement sound, filled with hard drums, grimy horn arrangements and deep basslines. In the album’s liner notes, DJ Evil Dee stated: “This album was done on blunted terms. Anyone who is offended by the contents of the album, F*** YOU. Nuff said.” Allmusic describes the dark production: “The Beatminerz production crew craft subterranean beats to match Buckshot’s mayhem. The tracks are dark, layered with muted jazz samples, and seemingly bottomless.” A few of the samples used here were later recreated by a number of Hip Hop artists in the ’90s. The single “Buck Em Down” features a sample from Donald Byrd’s “Wind Parade”, a sample which was later re-used for Organized Konfusion’s 1994 concept track “Stray Bullet”. “How Many MC’s…” features a sample from Grover Washington, Jr.’s “Hydra”, which was used for earlier hip Hop tracks like EPMD’s “Underground”. The iconic “Who Got Da Props” heavily utilizes a looped sample from RoHnie Laws’s jazz classic “Tidal Wave”, which was featured in several Hip Hop and R&B tracks, including Usher’s “Think Of You” from his self-titled 1994 album. Evil Dee and Walt take a portion of the sample and craft it into a different loop. Enta da Stage featured four singles and music videos, including their debut “Who Got da Props?”. In mid-1993, the “How Many MC’s…” single was released; it became popular in the underground rap circuit, but was not able to find success with mainstream audiences, barely breaking into the Top 50 on the Hot Rap Singles chart. The third single from the album was a remix of “I Got Cha Opin”, which utilized a smooth jazz sample, courtesy of Barry White’s “Playing Your Game Baby”. The remix featured a new chorus and all-new verses to go along with the new production. The single became the group’s second Billboard Hot 100 hit in 1994, peaking at number 93. The last single, “Buck Em Down”, was released in mid-1994, with the music video featuring the remixed version. Both original and remixed versions featured sampled portions from Donald Byrd’s “Wind Parade” and similar lyrics, with the remix featuring a different vocal delivery and edited lyrics. The album spawned additional remixes. Along with “Buck Em Down” and “I Got Cha Opin”, the tracks “Ack like U Want It”, “Son Get Wrec”, “S*** Iz Real”, “How Many MC’s…” and “U da Man” all featured remixes, which were later included on Black Moon’s Diggin’ in dah Vaults compilation. Though not as widely heralded as similar groundbreaking East Coast albums such as Nas‘ Illmatic, The Notorious B.I.G.‘s Ready to Die, Wu-Tang Clan’s Enter the Wu-Tang (36 Chambers), Onyx’s Bacdafucup and Mobb Deep‘s The Infamous, Enta da Stage was critically acclaimed on a similar level. Though all of the albums mentioned above were able to reach at least Gold status, Enta da Stage, released before all of these albums, has not sold nearly as well, selling just over 350,000 copies in the U.S. as of June 2006. 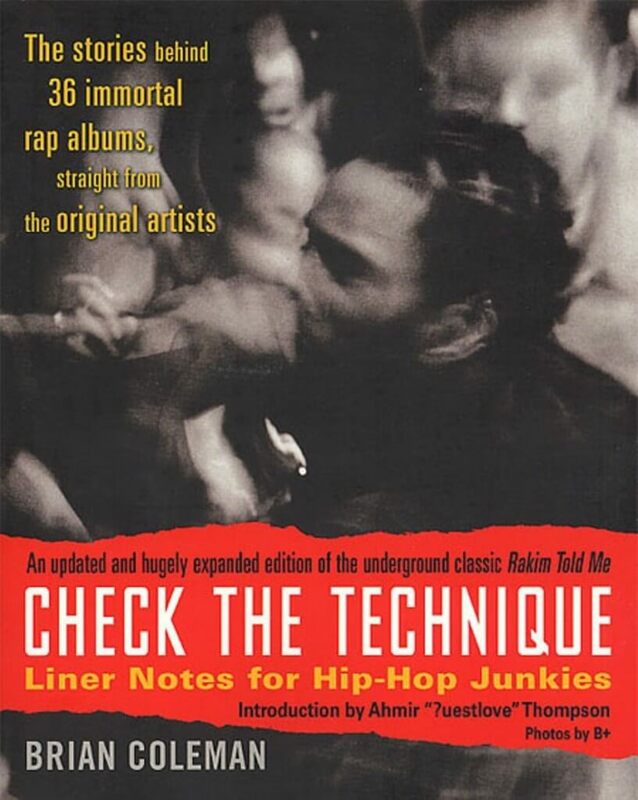 Allmusic described the importance of the album: “It set the tone for much of the Hip Hop to follow. Biggie Smalls suicidal thoughts and Noreaga’s boisterous thuggery both have their roots here. The album marked a turning point in Hip Hop.” Enta da Stage has also been described as “Era defining” and was one of the pioneering releases during the return of New York City’s street Hip Hop resurgence of the mid ’90s, after the West Coast’s reign of the early ’90s. Enta da Stage is still prominent among Hip Hop artists today, such as lyrics from “How Many MC’s…” being used as a hook for Jedi Mind Trick‘s song “Speech Cobras”.